If you find yourself looking for one area of Melbourne to best show off our city's eccentricity characters and taste for the alternative, Brunswick Street is your one stop shop. Known for it's cultured dining district, bars and live music venues, you'll also find Blue Chillies quaintly snuggled in. 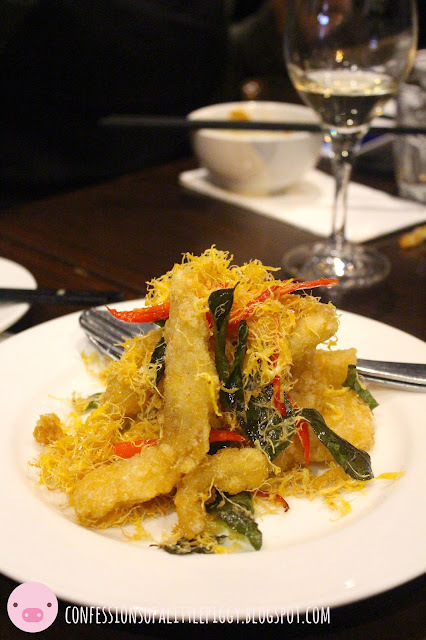 Best known for their signature takes on classic Malaysian flavours with a Melbourne flair, Blue Chillies have served locals and visitors alike for the past 15 years. And on Sunday, we celebrated their 16th birthday - Happy sweet 16th birthday Blue Chillies ! In celebration of such a milestone, a few lucky bloggers were invited to attend a fun-filled dinner experience. Drawing from Blue Chillies' vast experience of hawker-style cooking on the Streets of KL and Penang, and exciting fusion of fresh local ingredients with authentic spices, we were treated to a specially designed menu of their signature dishes and cocktails. We started with the Whitebait and Sweet Potato Fitters which were oh so light and oh so crispy, allowing the natural sweetness of the sweet potato to shine through. Coupled with a chilli lime dipping sauce, these were seriously addictive. 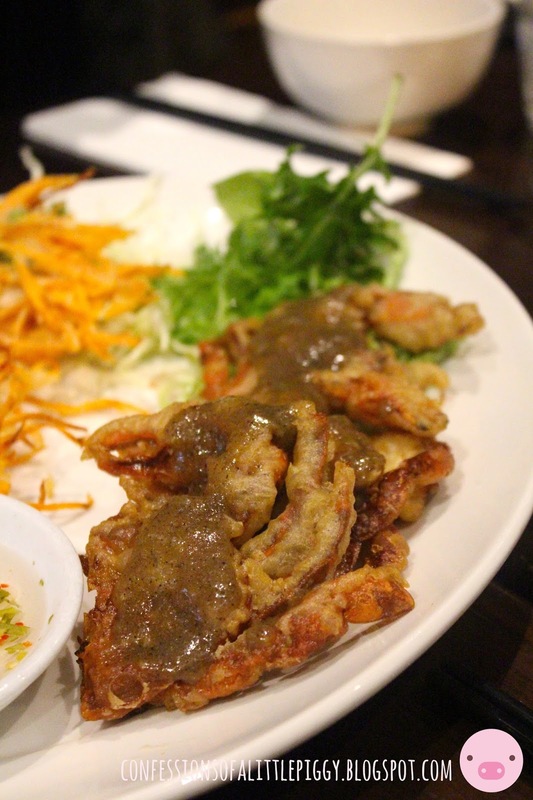 We also indulged in their Soft Shell Crab dressed in a ground peppercorn sauce. Unfortunately, the soft shell crab lacked a crispy exterior, with it's moist, delicate flesh taking over. Nevertheless, delicious. Traditionally eaten during Chinese New Year, the Yee Sang salad is a popular festive dish symbolising good luck, prosperity, health and all things auspicious. Always a dish I look forward to eating every year. At Blue Chillies, it consisted of fresh salmon with a variety of crunchy vegetables and roasted peanuts in a apricot plum sauce. Super saucy. For the mains, we tried the Duck Rendeng slow cooked with roasted coconut and Malaysian spices, fresh ginger-root garlic and chillies, the crispy King Prawns twisted in rice noodles on a bed of tomato puree with pineapple and coconut milk, their Pork Ribs caramelised in chilli jam and their Thrice Cooked Duck served with a blend of wild ginger flower, lemongrass, chilli and lime juice. The flavours, the textures, the presentations - all ticked.Somehow, by the end of the night, we still had room for the dessert, and boy was it a treat. A modern take on the glutinous black sticky rice pudding, layered with rich coconut cream, palm sugar and toasted coconut flakes.With food full of flavour and flair and service to boot, Blue Chillies is exactly where you need to be to beat the winter blues. Somehow, by the end of the night, we still had room for the dessert, and boy was it a treat. 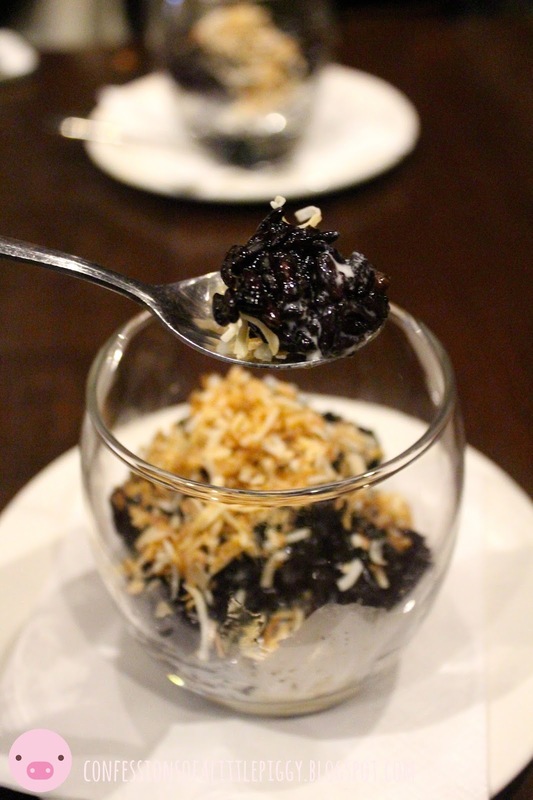 A modern take on the glutinous Black Sticky Rice pudding, layered with rich coconut cream, palm sugar and toasted coconut flakes. With heartwarming food full of flavour and flair and service to boot, Blue Chillies is exactly where you need to be to beat the winter blues. On an unsuspecting corner along Mt Alexander Road lies Phat Milk - modern Middle Eastern fare meets Melbourne cafe culture, pumping out St Ali brews to locals in the gateway to Melbourne’s North West. A visit to Phat Milk promises an eclectic list of breakfast and lunch stand outs, inspired by Owner, Sean Halabi's Middle Eastern background. We're talking Warm Sahlab Puddings, (Middle Eastern pudding topped with crushed pistachios and berries), Shredded Confit Duck on zucchini and corn fritters with beetroot relish and drizzled with pomegranate molasses, to their Shish Baraks (Lebanese dumplings in hot garlic coriander yoghurt). And behind the counter ? It’s all family affairs. Not simply in featuring mum’s home pickled olives recipe or grandma’s moghrabieh salad, but physically bringing in Mum and Dad into the kitchen to run a weekend traditional Middle Eastern BBQ. All the warm fuzzies. Based on our waitress' suggestions, it would have been a sin not to order the Middle Eastern. Golden folds of scrambled eggs, falafels oh so crispy on the outside yet light and crumbly on the inside, Sean's Mum's home preserved olives made with TLC, thick and creamy labne, humus, sweet beetroot relish, spicy sujuk and a side of zataar bread. Lip-smackingly good. 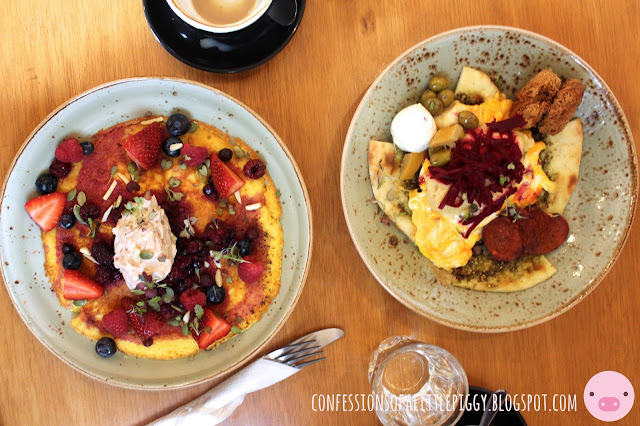 I must say though, the ultimate breakfast showstopper here at Phat Milk must be their Polenta Hotcake, with devotees regularly making repeated visits over one weekend to get their Polenta Hotcake hit. Crispy-edged on the sides and tender in the middle, topped with a rainbow of seasonal fruits and berries, whipped Nutella mascarpone and a house made mixed berry coulis. Perfect for the gluten intolerant (and everyone else) ! I'm a sucker for fusion. 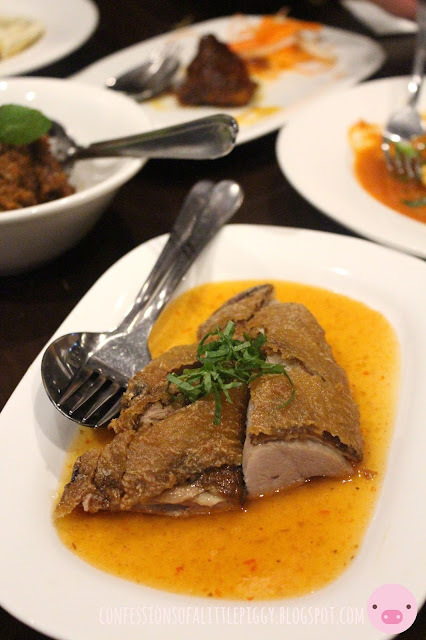 And Phat Milk's unique fusion of traditional Middle Eastern cuisine with modern elements has made this Little Piggy very happy. 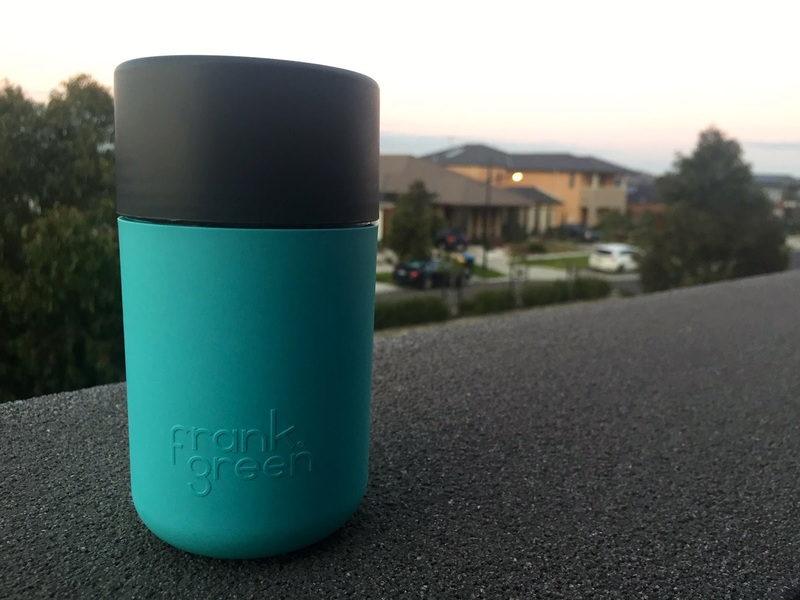 Our beloved social currency … aka coffee, has taken on a whole new way of life with Australian brand, Frank Green launching their SmartCup - an innovative, reusable and sustainable coffee cup that literally picks up the bill at the end of your cafe visit. Embedded with a microchip, each SmartCup provides the user with the ability to go cash free; tapping the lid of the cup to a sensor to process their payment instantly and securely at their local café. Boasting vibrant on-trend colours and smooth lines, this product will complement every look. I absolutely love the matte colours ! Earn loyalty rewards and points with every cafe purchase - it is 100% spill resistant ! 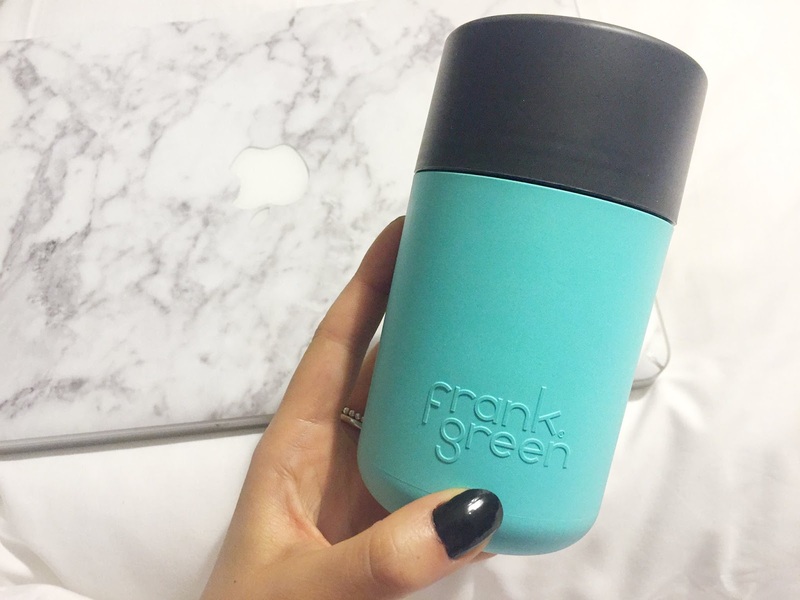 The Frank Green SmartCup - revolutionising your daily grind with innovative payment technology embedded in your cup. Somewhere you'd like me to try ? All reviews and recommendations in this blog are based on my own personal knowledge, experience and opinions.